This Michelle Obama mug is part of our First Lady biographical mug collection profiling the women who helped their husband, father, uncle or family friend while he served as president of the United States. 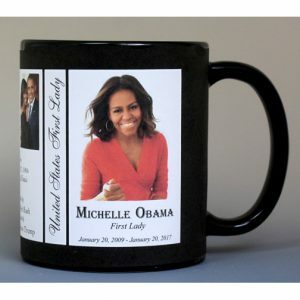 An image of Michelle Obama and a short biography are features of this history mug. 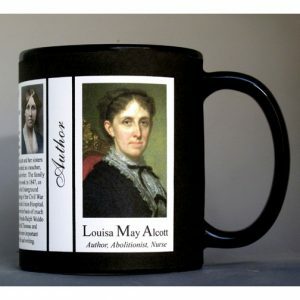 The Louisa May Alcott mug is part of a biographical series profiling unique authors and includes an image of Louisa May Alcott and a short biography. 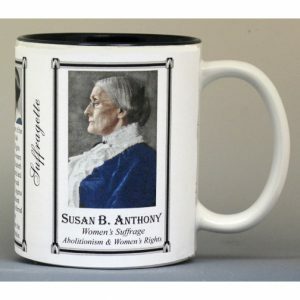 The Susan B. Anthony mug is part of a biographical series profiling Suffragettes and includes an image of Susan B. Anthony and a short biography. 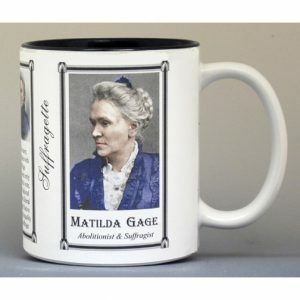 The Matilda Joslyn Gage mug is part of a biographical series profiling Suffragettes and includes an image of Matilda Joslyn Gage and a short biography. This Angelina Grimké mug is part of our collection of Civil War biographical mugs. 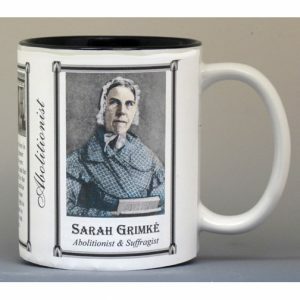 An image of Angelina Grimké and a short biography are features of this history mug. 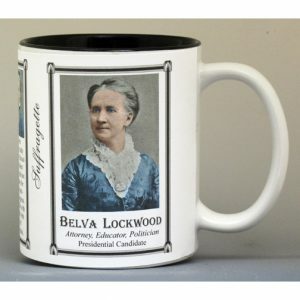 The Belva Lockwood mug is part of a biographical series profiling Suffragettes and includes an image of Belva Lockwood and a short biography. 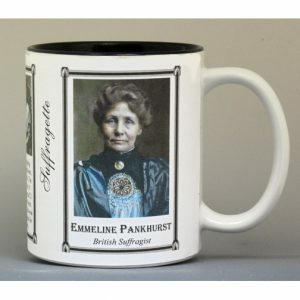 The Emmeline Pankhurst mug is part of a biographical series profiling Suffragettes and includes an image of Emmeline Pankhurst and a short biography. 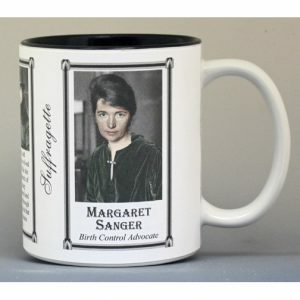 The Margaret Sanger mug is part of a biographical series profiling Suffragettes and includes an image of Margaret Sanger and a short biography. 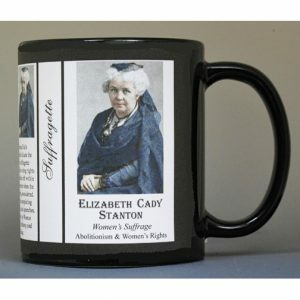 The Elizabeth Cady Stanton mug is part of a biographical series profiling Suffragettes and includes an image of Elizabeth Cady Stanton and a short biography. This Harriet Beecher Stowe mug is part of our collection of Civil War biographical mugs. 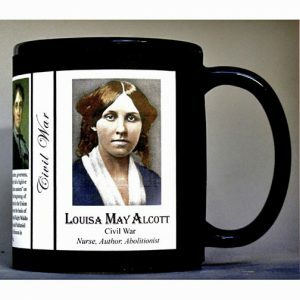 An image of Harriet Beecher Stowe and a short biography are features of this history mug. This Phillis Wheatley mug is part of a biographical series profiling unique authors and includes an image of Phillis Wheatley and a short biography.